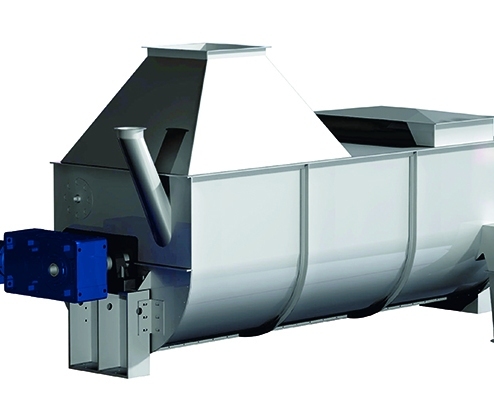 With over 100 years of experience in the design, manufacture and application of rotating Tubular dryers and coolers, for an extensive range of materials, R. Simon (Dryers) Ltd. can offer a unique advisory service to process industry in the application of extremely efficient and well proven products. Equipment from this range of products has been supplied to over 50 different countries throughout the world, and to many different process industries, the major ones being brewing and distilling, confectionary, starch, food, chemical, pharmaceutical, corn and cereal milling. Lowers labour and operational costs and simplifies material handling. The drying material is uniformly agitated and flows through the drum at the rate fixed for efficient drying of the particular material. Achieved through the efficient transference of heat through the product with optimum use of heating surfaces plus the ease of operation and low maintenance cost. The product of experience enables operating and maintenance costs to be kept at a low level. The robust construction gives the equipment a long and economical working life. These units are constructed to meet the particular requirements of the process industry and the nature of the processed material, such as treatment of corrosive material, high quality food, chemical and pharmaceutical products, etc. Experience available for testing products, advising on plant layout including materials and handling. Test/small volume production plant available on Hire/Loan.